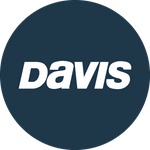 Davis Instruments Support, FAQs and Troubleshooting - Could you offer any advice on how to hang my Echomaster? All Categories ​>​ FAQ ​>​ Marine ​>​ Could you offer any advice on how to hang my Echomaster? Could you offer any advice on how to hang my Echomaster? We recommend building the Echomaster around a backstay. This may not always be the best “catch rain” position, but it sure gets it out of the way. If you want to hoist it to the spreader, try a short bungee cord on the lower shroud that gets more tension as you hoist the unit. Another bungee cord on the upper shroud works well in many cases.